A glamorous Swiss made timepiece by Swarovski. 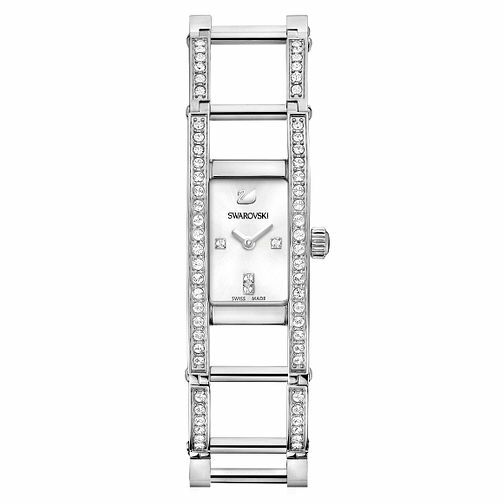 The Indira is a feminine silver tone stainless steel bracelet watch, set with glittering clear crystals and a chic rectangular logo adorned dial. Easy to wear, and perfect for adding sparkle to every outfit.